Guitarist, theorist, and composer Miles Okazaki grew up in the Pacific Northwest, in the small waterfront town of Port Townsend, Washington. The son of a painter and photographer, he began his studies of the visual arts at a young age. He began to teach himself guitar at age 6, and by the time he was a teenager, he had already won many awards and notoriety as a local jazz guitarist in the Northwest. After graduating from Harvard University, Okazaki moved to New York to attend Manhattan School of Music, where he met his first teacher, Rodney Jones. He began to gain local attention, playing in New York and taking first place at the Fish-Middleton Jazz Competition in Washington, D.C. Working with Jones after graduation, he learned how to arrange and prepare recording sessions, and fundamentals of the music business, working with artists such as Donald Harrison, Ernestine Anderson, Ruth Brown, Jimmy McGriff, and Lena Horne. He also began to pick up sideman work, with Regina Carter, Stanley Turrentine, Lenny Pickett, Allan Harris, and vocalist Jane Monheit, who he toured the world with for four years. During this time, he undertook intensive studies of Brazilian and South Indian musical traditions. In 2005 he entered the Thelonious Monk Guitar Competition, and with the prize money from his finish as a finalist, he recorded his debut album, Mirror, which had taken five years to compose. It was released in 2007 to great critical acclaim, called “a work of sustained collectivity as well as deep intricacy” in a New York Times “Critics Pick.” The writing on this record won Okazaki a prestigious “New Works” grant from Chamber Music America, which funded his second extended work as a leader, Generations, released by Sunnyside records in the Spring of 2009. This album is received similar praise; Downbeat Magazine wrote: “Rarely does even a minute elapse on Generations where the emphatic first impression that the composer has a rare acuity for form, rhythm and harmonic movement is not reinforced. Ditto that for Okazaki’s skills as a guitarist.” Currently Okazaki is working on several grants and commissions, and performs with his own ensembles, Steve Coleman and Five Elements, Dan Weiss, Jen Shyu, and a variety of projects. 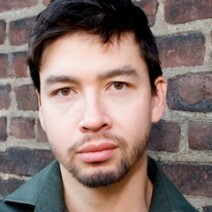 For more about Miles, visit www.MilesOkazaki.com.